When it comes to the hospitality industry, review sites have recently become a huge influence on potential customers who are on the fence about staying at a certain hotel for their next vacation. This may be perceived as a bad thing, but in fact, this should be considered as a whole new market to take advantage of to exposes one’s business. It’s all a matter of how a hotel combats red flag comments as well as extracting the full potential of positive ones. Social media is a conversation, one where opinions and ratings rule all and end all in some cases. That’s why it’s important to maintain upkeep on sites which showcase customer reviews of your hotel to get an idea of what the general consensus is on the experience you provided. Don’t always take these to heart, but at the same time don’t ignore them either, as this may be vital for the future growth of your business. Reputation on review sites is often the defining factor on whether or not a guest will even entertain the idea of staying at your hotel, even if you’re the best of the best, reviews mean everything. This can be both beneficial and harmful to your business at the same time. On one hand, you gain some exposure that shows off your hotel to a wider audience, and on the other hand, customers who didn’t like the fact that you gave them two pillows instead of three, will leave a nasty comment warning other customers to never stay at your hotel if they want to live. Having a large number of reviews advocating your business is like a free promotion that everyone will see. Potential visitors value a recommendation they read online as much as a recommendation they heard from a friend, which is why asking to leave a review can go a long way. It may not seem like much, but sites like TripAdvisor or Hotels.com are highly influential in persuading customers to come stay at your hotel after reading a review. The more positive reviews you have, the more desirable your hotel looks, which is why comments and reviews are fundamental to business growth. Leaving a simple “thank you” or “hope to see you again” will give your positive reviews even more likeability. Many customers respond well to a caring and considerate business, making you all the more charming for potential customers. As mentioned above, the importance of reviews in the hospitality industry is so crucial that it can sometimes harm your hotel’s reputation. If customers are complaining about their dissatisfaction with their experience at your hotel, that can deter potential customers from getting past your home page. It can be especially frustrating when some of the complaints are either invalid or flat out lies, to which you must respond within a reasonable amount of time with a polite and professional attitude. You don’t have to respond to every bad review, but when you do, offer some sort of apology or compensation to reduce any damage done to your image. Social media team members should be quick in their response time, at the most a day or two, and should know how to reply to any malice or false accusations made on a review site. And if you do receive a bad review don’t sweat it, take it as feedback to learn and adapt for future customers. Although you may not like to think it, review sites are a defining factor to how the hospitality industry as a whole function currently. 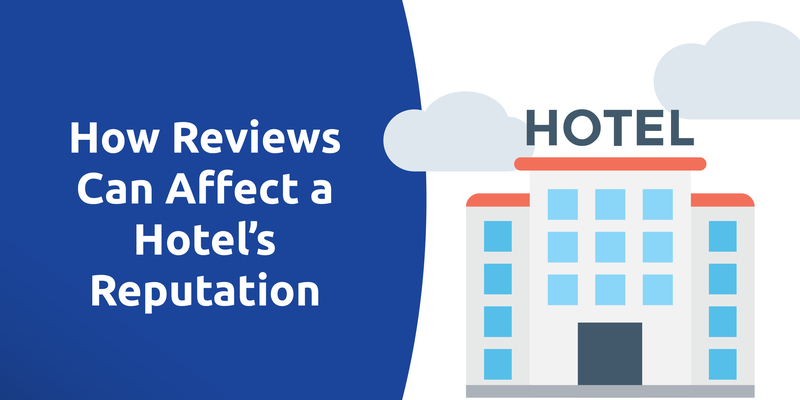 Good and bad reviews affect hotels in different ways, as these are usually the selling point for most potential customers to even consider clicking past the homepage. With the proper discipline when dealing with negative comments and the understanding of how to use positive comments as an advantage, your hotel could become an international success overnight. Does your hotel or bed & breakfast need help acquiring new, positive reviews? 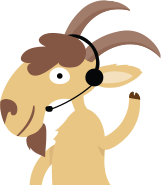 Contact the review crew at Rize, or start your two-week trial and see for yourself how easy it is to collect reviews!